Sometimes the news you get from a friend (even a friend you have never met in person) just motivates you to do something for them. 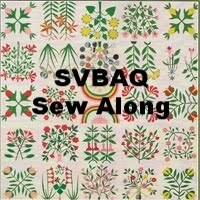 Our Blogging friend Kaaren (The Painted Quilt) was recently told by her doctor that she could no longer sit at her sewing machine for any length of time. Just before she got the news she was planning to make a copy of this lovely quilt (antique top, newly quilted). 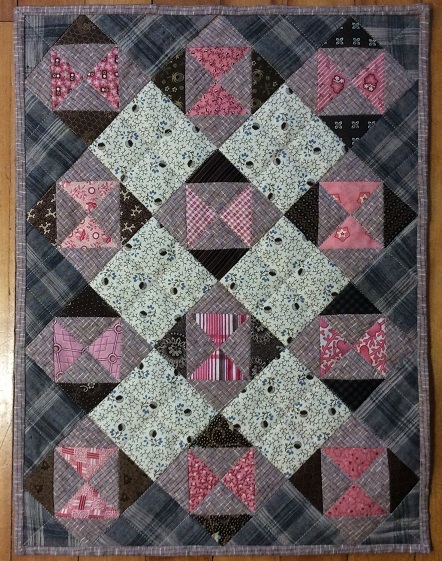 So I decided the only way to cheer her up was to make a little quilt with a similar feel. Since she has already received it, I can now show it to you. Although I am not much of a machine quilter, I cannot imagine what I would do if I was told I could no longer sit at my machine. Luckily Kaaren is a fantastic had stitcher and hopefully will never have to give that up! 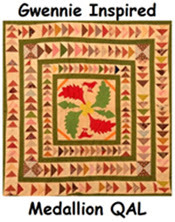 And just to show you what a wonderful quilter she is, I just received my Winter 2016 issue of Primitive Patchwork and Projects and Kaaren has a wonderful little quilt in it. I highly recommend picking up a copy. You can also receive digital copies from their website (here). Kaaren isn’t on the computer much these days, but for your own entertainment I encourage you to browse through her Blog (here) for some marvelous photos and stories. And let's all be thankful for every stitch we take! Have a great day! Oh, Wendy, you are a sweetheart!! This is such a wonderful little quilt and I'm sure it thrilled Kaaren no end! She did indeed love it and I loved making it for her! What a thoughtful idea, Wendy! Thank God she can still do the handwork she loves! Indeed. I know she enjoys it so much! You're an angel dear Wendy and a sweetheart. ... this quilt is awesome on both sides ! I'm sure Kaaren will adore it ! I so enjoyed making it. She is such a dear person. Wendy, what a great gift and so thoughtful of you!! I'm sure she'll cherish it. Who can imagine how difficult and painful that'd be not to be able to sit at our machines?? I love what you made!! You are a real friend! Such a Lovely thing to do..Me too... I'm very grateful I can sew & quilt by hand. Your sweet story and delightful gift warmed my heart and I'm sure, made Kaaren feel the embrace of your friendship. How very sweet of you to make and gift Kaaren the little quilt. She loves things like that. 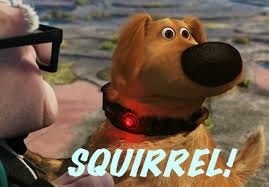 My copy of the magazine has not arrived. I look forward to seeing what project Kaaren has in the issue. That is such a lovely quilt. I can't imagine being told I can't sit at the sewing machine, luckily Kaaren still has hand sewing. Thank you for letting us know about her blog. How sweet of you to make a little quilt for your friend. It is lovely and I'm sure it will lift her spirits every time she looks at it. That is aweseom and I know Kaaren will treasure it! Quilters are the best! What a dear little quilt and what a thoughful gift! I know about Kaaren's blog, but have not visited for a long time, so thankyou for the reminder! 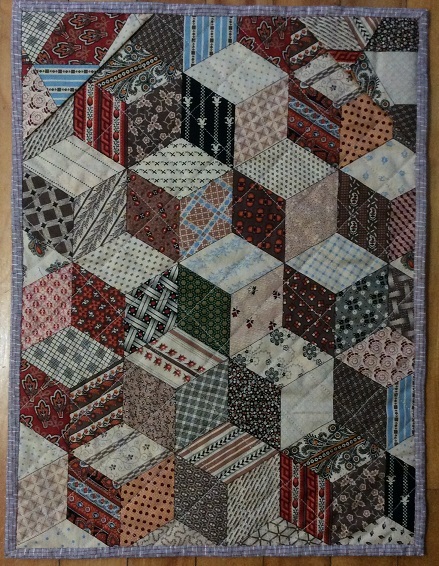 Beautiful quilt you gifted to Kaaren! I know she'll appreciate it and the thoughts behind it. I did just receive my PQP magazine and noted Kaarens' project right away! I'm so very thankful for each day and each friend, and each quilt we are able to stitch!! That is the sweetest impulse, to make and send her such a quilt. She will treasure it I'm sure! I hope Kaaren's status changes sooner rather than later. So Long Gwennie Inspired Medallion Sew-a-long!